We're still recovering from CES 2019, and it seems like everyone else in the world of virtual and augmented realities is doing the same. It was a pretty light week of AR and VR news. But when has that ever stopped us? We donned our headsets and went digging through all those alternate realities to find out what happened this week. Read on, reader, to get the 4-1-1. 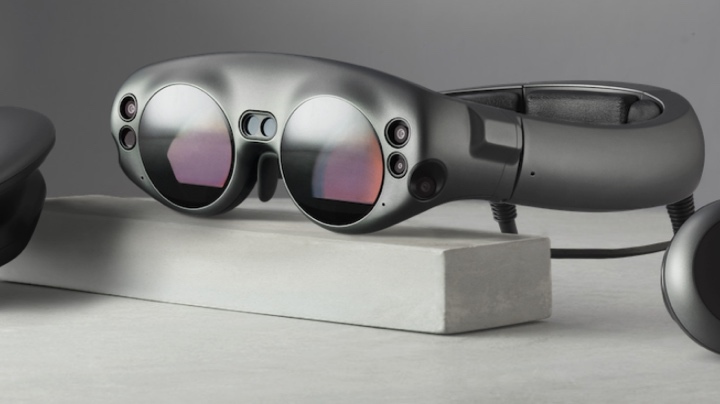 Magic Leap may be prepping its first AR headset, the Magic Leap One, but that hasn't stopped it from planning to expand its business elsewhere. The company wants to create a platform for augmented reality, and to do that it may need to rely on more than its own hardware. Variety reports that the company is looking to hire a senior software engineer for mobile AR, in an effort to build a cross-platform framework that allows AR apps and games to scale between iOS and Android devices and Magic Leap headsets. That makes a lot of sense, as ARKit and ARCore have quickly become two of the biggest AR platforms out there. If Magic Leap made it easier for developers to be able to make experiences for both ARKit/ARCore and Magic Leap, it would be easier for the company to collect games and apps for users. Dreamscape Immersive is a location VR company backed by Steven Spielberg, and it counts the filmmaker among investors that also include Hans Zimmer, Fox, Time Warner, MGM, AMC and IMAX. It just had a strong debut at Westfield Century City Mall. So strong, in fact, that Dreamscape is planning six more locations – four of them before the end of 2019 in AMC Theaters. Dreamscape is a little different to other location VR, like The Void. It treats itself more like a movie cinema, where you go and choose your story, rather than going for a singular experience. There are three separate experiences: Alien Zoo, The Blu: Deep Rescue, and Lavan's Magic Projector. Each takes place in a 16 x 16 foot room with a vibrating floor. While you can interact with some objects in reality and have it work virtually, Dreamscape is less interested in being the most technology advanced location VR and more interested in storytelling. It's planning five more experiences, and it hopes to rope in big filmmakers to make them. In fact, one of Dreamscape's founders is Walter Parks, producer of over 50 movies including big hits like Men In Black and Minority Report. It'll be interesting to see whether Dreamscape's story-based VR does better than other location VR outfits, which include IMAX, who shut down its VR business. Getting in a Lyft or Uber, or even a plain old taxi, is a game of chance. Sometimes you're in the mood for talking and get a nice and chatty driver – other times you'd rather just stare at your phone screen. Lyft wants to give you AR and VR experiences to pass the time, according to new patents found by TechCrunch. The system would craft a VR or AR experience for you based on the route of your ride. So, let's say in VR you're flying in a space ship. If your Lyft stops at a stop sign, your spaceship in VR will stop. If it turns left, the spaceship will turn left. Essentially, it turns your Lyft ride into a virtual amusement park ride – in the middle of a city. You probably wouldn't want to use it after a heavy night of drinking, though. If you're looking for some good, free VR games to play with your PS VR, Sony has just come through for you. It's released its PS VR Demo Disc 3 today on its PSN Store. There are nine total experiences, including Astro Bot Rescue Mission, Battlezone, Headmaster, Job Simulator, Moss, Kitchen, Superhot VR, The Persistence and Thumper. That's a great lineup, and includes demos of some of our favourite VR games. If you haven't heard, Kingdom Hearts 3 is finally coming out. To celebrate, Sony and Square Enix are doing something a little different. Singer-songwriter Hikaru Utada will perform songs from the game in VR on 18 January in PS VR.